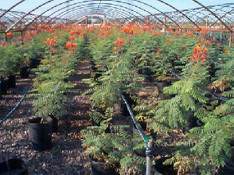 Sunrise Tree Farm operates a 90 acre nursery located in the northwest side of the Phoenix Metro area. We are conveniently located near US Highway 60 and State Highway 303 in Surprise, AZ. 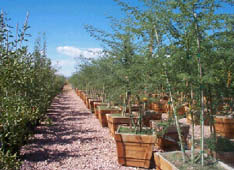 We specialize in growing native and desert adapted trees, shrubs, and cacti. Our vast inventory includes a product line ranging from 1-gallon shrubs up to 48" box trees. This allows us to serve small residential jobs to extensive commercial developments. At Sunrise Tree Farm we strive to give our customers the utmost quality in all that we provide. More than just suppliers, we consider ourselves your partner in the landscaping industry. . . . . . . . . AVAILABILITY . . . . . . . .